A statement dining chair with elements of mid-century modern design. Part of the Century Collection by Ottiu, the dining chair takes inspiration from the 1934 rom-com ‘It happened one night’. 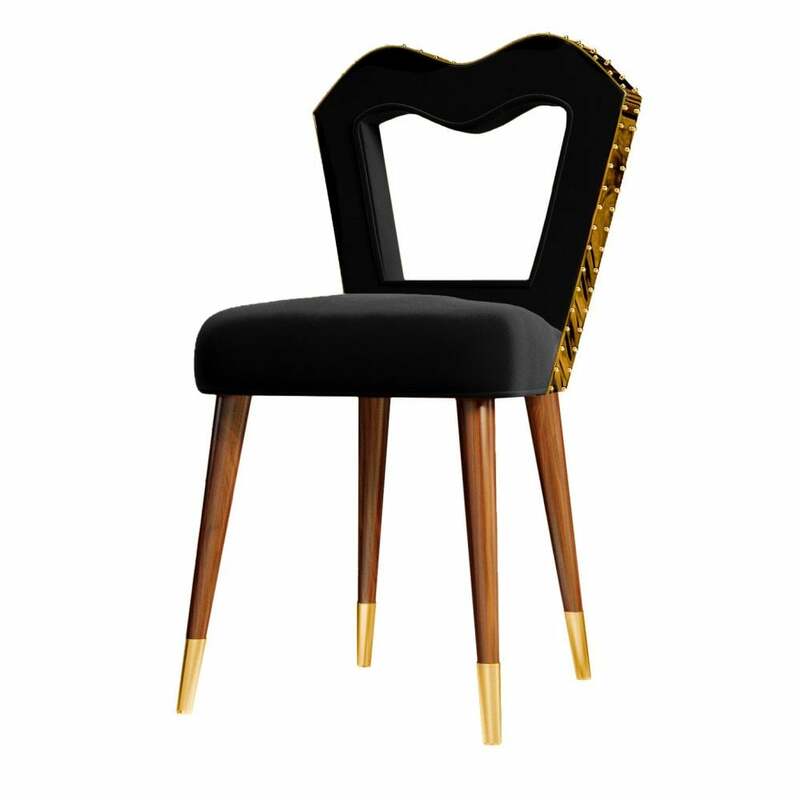 Upholstered in a luxurious black velvet, the chair is skilfully crafted using the finest materials. Polished brass details complement the solid walnut frame and legs. Pair with mid-century modern accents and plenty of greenery. Elegant and stylish, the Andress Dining Chair will steal the show. Available in a range of finishes and colours, make an enquiry for more information. Priced for Upholstery: Ottiu Fabric. Structure: Beechwood, lacquered legs with high gloss varnish. Details: Polished brass accents, polished brass feet.